We have discovered that many business owners get frustrated with their current accountants irregular, unexpected and quite large fees. As business advisers, often encouraging you to have certainty over your business costs and overheads, it is only right that we also offer you certainty over our fees. 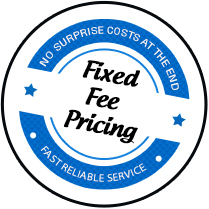 Therefore are able to agree our annual fees with you from the outset. Also, to help with your business cashflow, rather than paying a one-off annual fee you are welcome to pay our fees by monthly standing order over a 12 month period. As your business advisors, we want to be there for you throughout the year and assist you and your business so we don’t charge for every telephone call and email. We’re here to assist you and you shouldn’t have to worry about contacting us for fear of charges.